Read more about housing and meals. Download a Threefold Community map. Find directions to our campus. Each summer, we offer a variety of activities to complement your classroom time. We have learned not to overload our summer attendees with too many evening activities, however, since most of our students relish their evening downtime after such full and stimulating days in the classroom. Many take advantage of our convenient location to explore the area beyond campus, from checking out nearby restaurants to strolling the lively sidewalks of Rockland County’s artsy Hudson River towns (Nyack or Piermont), just a 20 minute drive away. If you’re feeling more energetic, you could also head a few miles north and enjoy a hike in nearby Harriman State Park or venture into NYC by hopping on a local commuter bus or train. If you prefer staying within the Threefold Community, we hope you’ll join us for our Tuesday evening Faculty Panels, which offer lively guided discussions on a topic relevant to everyone on campus that week. And on Wednesday evenings, a favorite community activity is enjoying a delicious Threefold Café BBQ supper on the Main House Terrace, followed by an evening swim at Threefold Pond right across the street. And, of course, everyone is invited to our Tuesday Meet and Greets, which offer the opportunity to mingle with all Sunbridge students and faculty over complimentary coffee, fruit, and cookies during morning break time. Calendars with these activities, along with other events sponsored by our neighboring Threefold community institutions, are posted weekly around campus. Read more about our campus and community and local activities for our students and their families. A maximum number of spaces is available in each Summer Series classroom and a minimum number of students is needed to run each offering. Titles sometimes sell out, and, while it’s rare, can be subject to cancellation. To be certain to get into the course or workshop of your choice—and to help ensure that offering runs—don’t wait! Get your registration in as soon as possible, as courses and workshops not meeting minimum registrations will be cancelled. Titles that are nearing—or have reached—capacity will have a note placed alongside their description, with wait lists made available as necessary. NOTE: When choosing option #3, please be sure to check off “Invoice my School” on your registration form. To qualify for the Send More/Save More discount, registrations must be made by June 14. Payments made in CAD will receive a 15% discount off the full price in US dollars. (Instructions will pop up when you indicate you are paying in Canadian currency.) This discount may not be combined with any other discount offering. Click each title for full description. 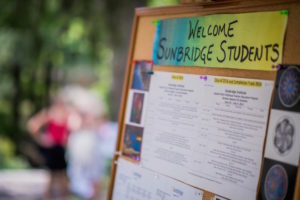 ~ My school recommended Sunbridge to me, and I’m glad they did. ~ It’s beautiful here. Staff is well-prepared and organized. ~ Great people. Great program. ~ Sunbridge draws from all over and offers all the diverse styles needed. ~ My (Approaching the Grades) course provided me with a lot of tools that I will be able to bring to my class. The more philosophical questions were very inspiring. ~ This was my first Sunbridge course. I learned so much from my instructor and all the students. I feel I am leaving with much to enrich my teaching this year. ~ Well-organized course. Excellent, well-chosen faculty. Participants in this class were exceptionally fine people and first-rate teachers. 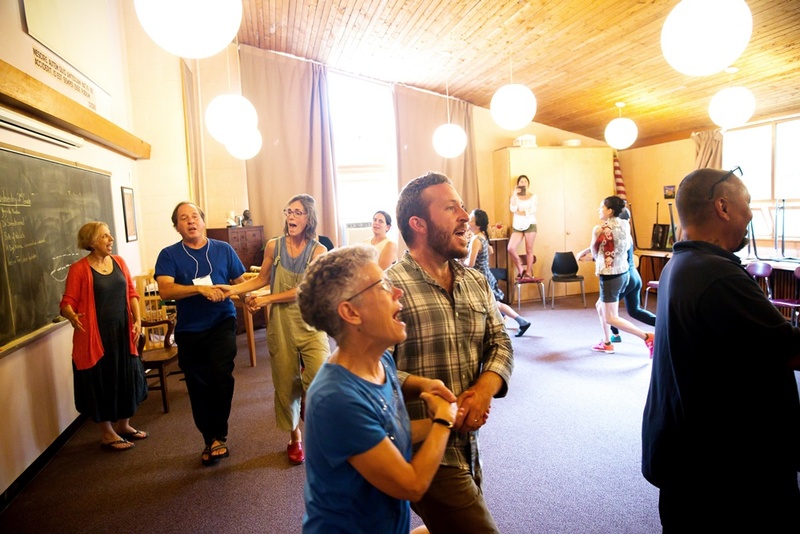 ~ This (Leadership) course was on many levels deeply satisfying, combining content info, plenty of case work, group work, reflection time, and opportunities to use all parts of our brain (with eurythmy and music and nature all around). ~ I enjoyed widening my perspective of other Waldorf Schools/teachers who face completely different challenges than my school and I do. ~ I feel super informed and satisfied that I have the info I need to have a great year. ~ Thank you for a lovely experience. I learned so much and have found a new network and community.